Dominic Grey is back. This time he has left his job as diplomatic security agent to take a job with Professor Viktor Radek, a religious phenomenologist. His first case finds him helping the CEO of a biotech company locate a stolen vial that is filled with a mysterious liquid related to the company's study of aging. But things are not so clear-cut, and soon Grey is running for his life, along with investigative reporter Veronica, who is determined to get the story of her life. In The Egyptian, Layton Green delves further into the character of Dominic Grey, the protagonist we first met in The Summoner. This time, he's not dealing with a missing person, but rather a missing product. However, once again, Grey is thrown into the world of eccentric religions and people intent on keeping dark secrets covered up. I enjoyed learning more about Grey and Professor Radek in this novel. And several unique and interesting new characters are introduced as well. Like the previous book in this series, Green paints an incredibly detailed picture of the places his characters visit and provides fascinating details about ancient beliefs and rituals. He has obviously done extensive research into religions, jujitsu and other areas that are integral to the story. And I enjoy the way he explores unusual, seemingly supernatural events in a realistic, almost scientific way. It makes me want to learn more about religious phenomenology. The beginning of the novel was a bit slow for me, perhaps because there is quite a bit of back story provided about Grey, Radek and their experiences during The Summoner. I read these novels in succession so it seemed a bit too repetitive to me. But if you take time between them or read The Egyptian first, I'm sure this wouldn't be bothersome. And aside from those recaps, the novel is definitely a fast-paced thriller. 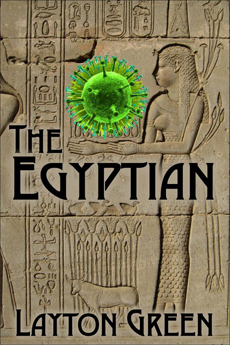 In The Egyptian, Green builds the suspense as the novel progresses and it's hard to figure out the complete picture until it is finally revealed. If you're looking for a novel that's full of action and suspense, I highly recommend this one. As a side note, The Egyptian, while it contains fighting and violence, is not nearly as disturbing in its violence as I found The Summoner. I look forward to future Dominic Grey novels. 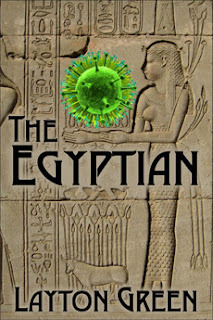 This review was written based on an ebook copy of The Egyptian that I received from the author in exchange for an honest review.